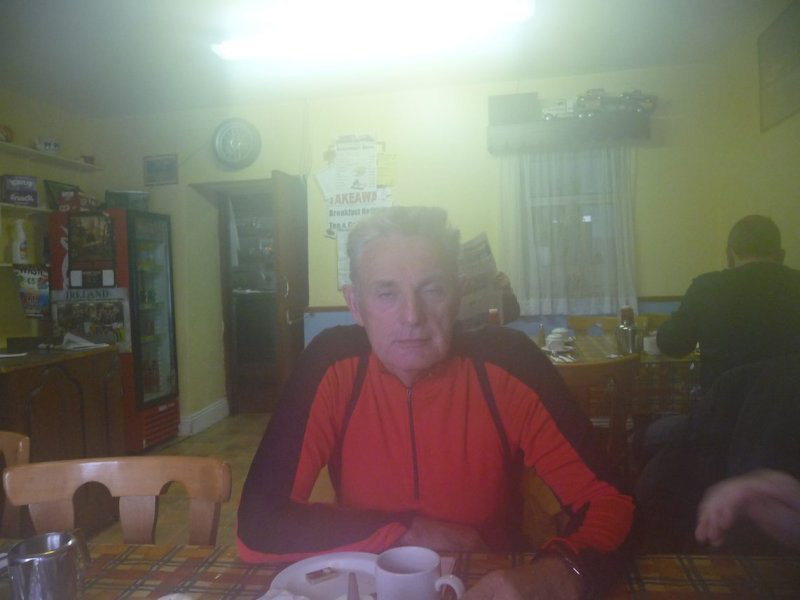 It was a little bit colder than of late this morning (4C) as I cycled east into an east wind to the Silversprings Hotel, known in Cork as "the Sillysprings" to meet the redoubtable Mick and Donie. Off we head towards Glanmire and then north on the old Dublin Road (most of it has been replaced by motorway), and gradually uphill to Watergrasshill (a corruption of Watercresshill. It's Cnocán na Biolraí in Irish which means Watercresshill) and Rathcormac. While not bitingly cold, it was too cold to be much fun. Dilemma at Rathcormack. 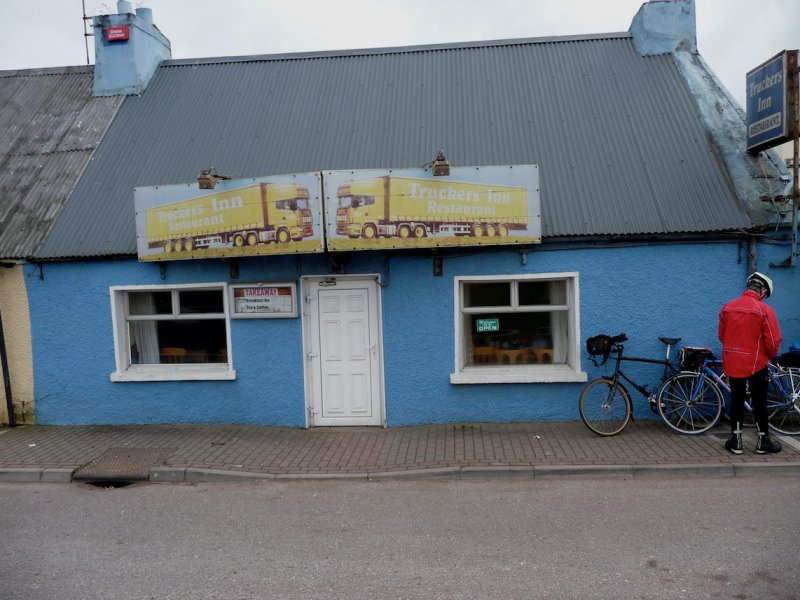 Coffee shops closed, BUT I'd spotted an unprepossessing truckers' caff on the way into this village and persuaded my reluctant cohorts to try it. It was without fault, with good scones and fine coffee. 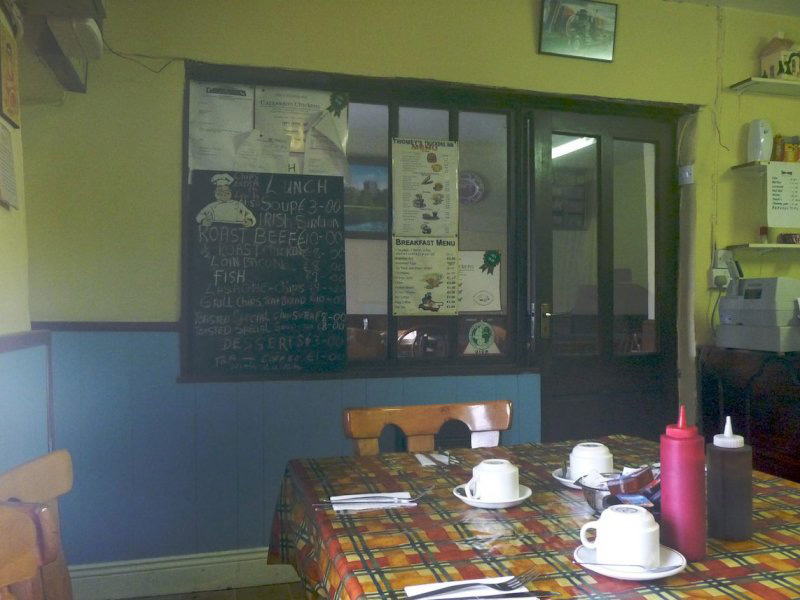 6 scones, 6 coffees and 18 euro later, warmed, we headed west from Rathcormac towards Ballyhooley. 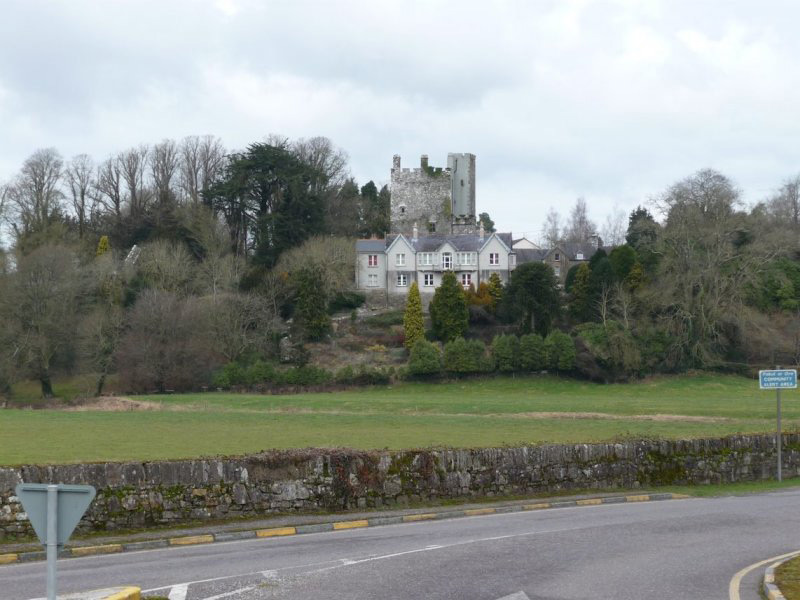 The trip to Rathcormac was uphill all the way from Glanmire and from there it was undulating, until we dropped down to Ballyhooley with a gusting and destabilising North Easterly wind. I was on my Thorn Raven, Mick on a touring bike with a Ribble Aluminium frame and Carbon forks and Donie on an Aluminium Trek Tourer. Across from Ballyhooley Castle which is no Neuschwannstein, we turned sharp left and climbed about 3 miles, but not steeply along a wooded road, until there was a 3 mile drop to the river near Glenville, which is Gleann an Phréacháin in Irish, which means, puzzlingly the Valley of the Crow. 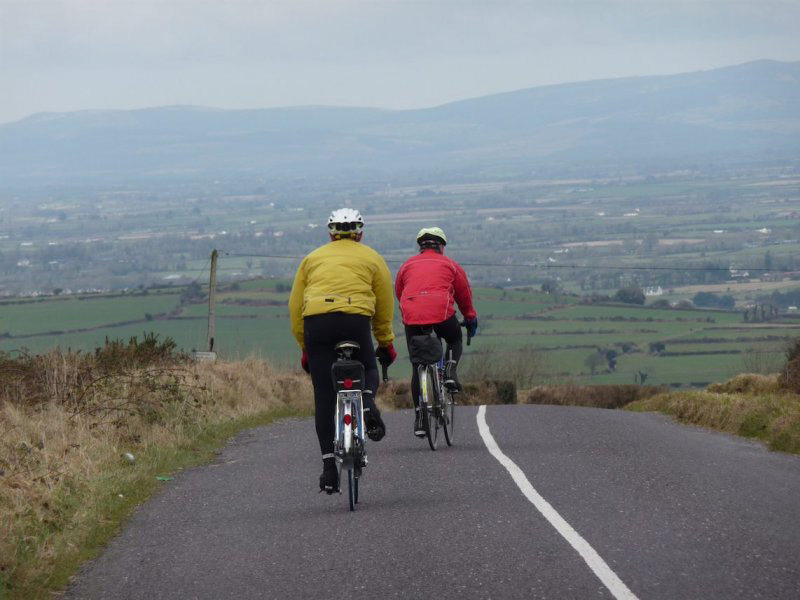 Then we climbed again gradually and then dropped and remained flat until there was a final kick before we dropped down along the Ballyhooley Road and reached Cork. 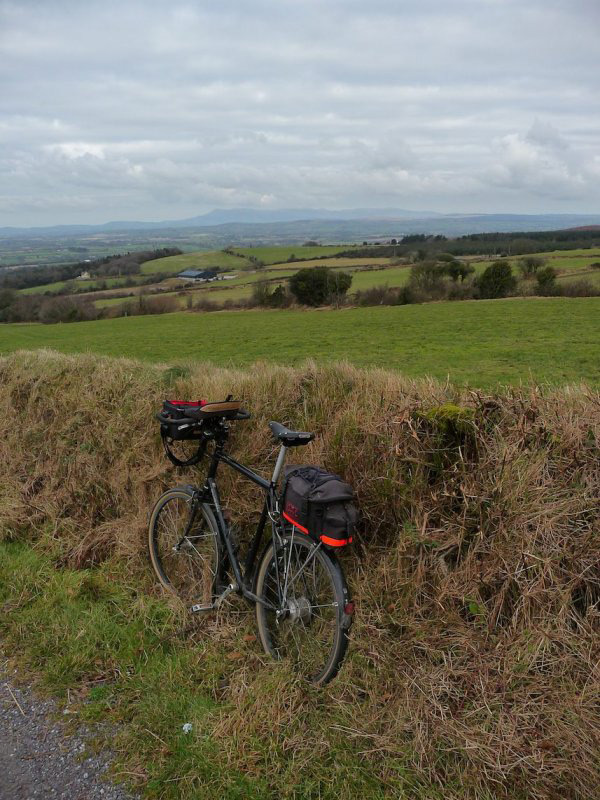 Before that I'd had to stop and eat some chocolate as I had what we call the knock in Cork. The bonk? in Britain. Made my way home west, had a snack, a shower and an hour's blissful sleep before dindins. 52 miles, 11 mph. 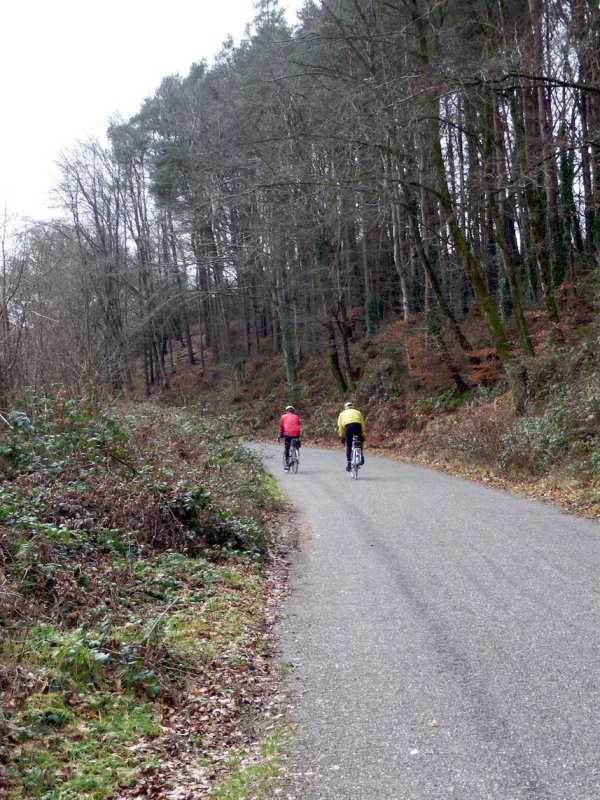 22 miles of this spin is gradual climbing. 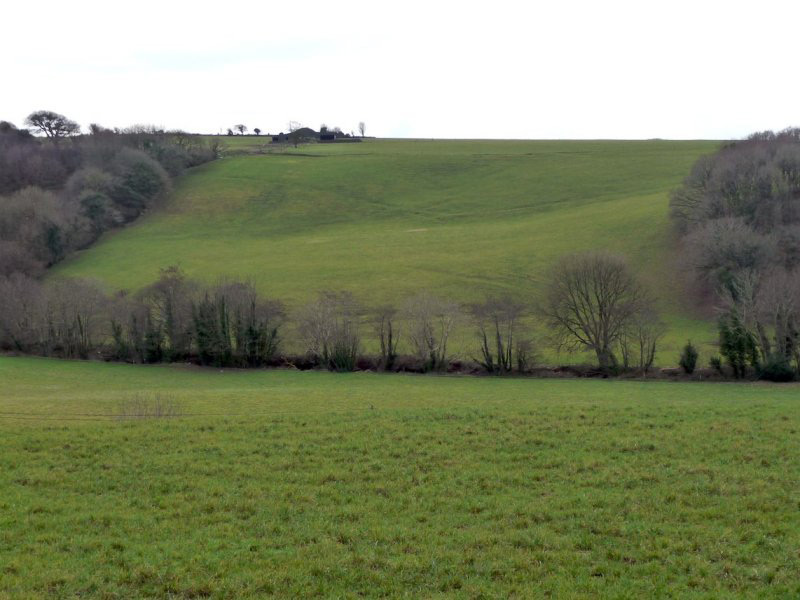 From Ballyhooley back to Cork is quite scenic, going through lumpy terrain. Donie looking as optimistic as he gets! Near Ballyhooley. Galtymore in the distance, a Monroe. Highest mountain in Tipperary. Posted by Garry on February 9th, 2010. Garry, I really enjoyed reading your post today, so much of your homeland is so similar to my own – cept you do have much higher hills (that picture of your wife with the mountain behind for example). Hope you are feeling better after a good feed, I had that ' bonk' once, I took 3 days to get over it and never wish to repeat the experience again. One of these days, I fancy a cycle trip to Ireland.... It looks a stunning country to visit. If you've not seen it, the west coast is marvellous. Especially the 5 southwestern peninsulas, the coast of Clare, Connemara and Donegal. Donegal is very hilly however and hard going. Connemara is easy. Moutainous, but the roads stay on the flat. Road surfaces are less than perfect by and large. Ireland has a HUGE road network, as England has. Spain e.g has few roads. A cycling trip to Ireland is moving up our agenda I reckon. When is the dry season? But then the Isle of Man too, and that's very accessible from here. I think I can guess the Isle of Man weather – I can sometimes see it! The dry season is 1995. It didn't rain for 6 months in that year!! Statistically, the driest month in Ireland is May. But I wouldn't place a lot of reliance on it. We had a terrible summer last year, though you don't really need beach weather to enjoy cycling. 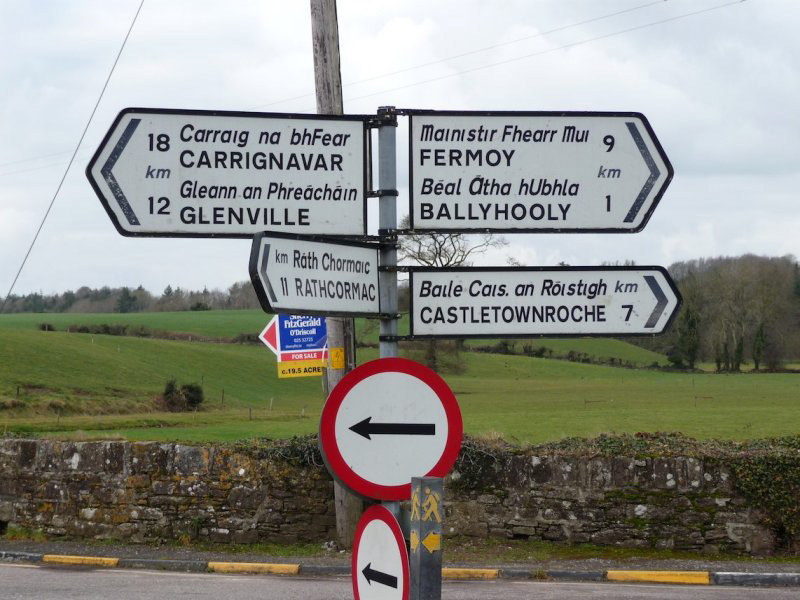 Just noticed on looking at photo of signs, and checking up on the internet, that there's no K in Rathcormac!. At least not officially.